From cutting-edge DNA barcoding to smartphone apps that can identify illegal wildlife sales, conservationists are turning to hi-tech tools in their battle against Indonesia's animal traffickers. Spread across more than 17,000 islands, the Southeast Asian nation's dense tropical rainforests boast some of the highest levels of biodiversity in the world, from scaly pangolins to the endangered orangutan. But that enormous array of flora and fauna means Indonesia is also on the frontline of an illicit global trade estimated to be worth as much as $23 billion a year -- a shadowy operation bringing some species to the brink of extinction. To tackle the problem, conservationists have begun using a slew of new gadgets to protect the archipelago's rare and threatened wildlife. "Without a doubt (technology) is probably one of the largest resources that will help the good guys get the bad guys," Matthew Pritchett, from anti-trafficking group Freeland Foundation, told AFP. "The criminals that are behind the illegal wildlife trade are large organised syndicates that are extremely sophisticated." To keep pace with these vast trafficking groups, activists are now deploying the kind of technology once reserved for combating drug cartels and crime lords. For instance, the Wildlife Conservation Society (WCS), which works with Indonesian authorities to halt wildlife crime, uses similar computer software to map criminal networks and extract data from seized electronic devices. Conservation group International Animal Rescue Indonesia (IAR) is examining crime scene evidence with the help of DNA barcoding -- a taxonomic method that relies on short genetic sequences to identify species. Tissue samples from confiscated animals can be cross-referenced with a database of stored genetic codes, helping to unambiguously differentiate between species and sub-species -- not all of which may be endangered. For instance, IAR is building a barcode database for different species of slow loris, a cute but venomous primate being hunted to extinction for use in traditional Chinese medicine. "If we have animals with a known origin and we have animals that appear, for example, in Jakarta, we can then compare the genetic samples," Christine Rattel, IAR programme advisor, told AFP. "We can then track down the hunting hotspots and what the trading routes are." Despite a raft of laws aimed at protecting Indonesia's wildlife, forest rangers and police are under-resourced and lack specialised scientific knowledge, experts say. Detection is often left to NGOs that scan wildlife markets and social media for threatened species, carry out investigations in the field and then notify police. "What a lot of people don't realise is that law enforcement officers are not biologists," Pritchett said. "There might be some of them that specialise, but when it comes down to it we are talking about something like 25,000 to 30,000 species across the world that are protected from international trade." This is a gap that the Freeland Foundation wanted to plug when it developed its smartphone identification app WildScan. Law enforcement officials and members of the public can swipe and click through questions and photos to determine whether they have a protected species in front of them. If it turns out they do, they can then photograph and report it to authorities across Southeast Asia using the app. 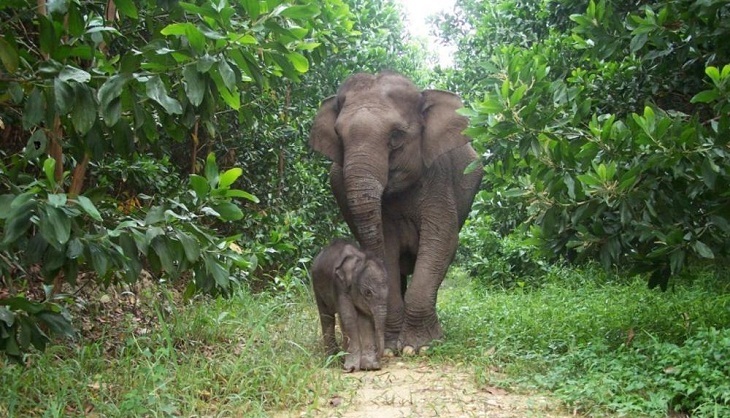 Pritchett said reports generated through the app -- which has a database of some 700 species and 2,000 photos -- have already resulted in authorities taking action in Indonesia and Thailand. Still, despite the best efforts of conservationists and huge advances in technology, many experts believe the battle is being lost. Outdated laws, scarce enforcement resources and low prosecution rates remain key challenges in halting the trade, according to a 2015 report by development agency USAID. Above all, there is a lack of political will to tackle the lucrative black market, said Ian Singleton, director of the Sumatran Orangutan Conservation Programme (SOCP), which uses drones to keep track of orangutans and illegal forest clearing that threatens their habitat. "Without government will, no amount of technology will ever change anything," he said.